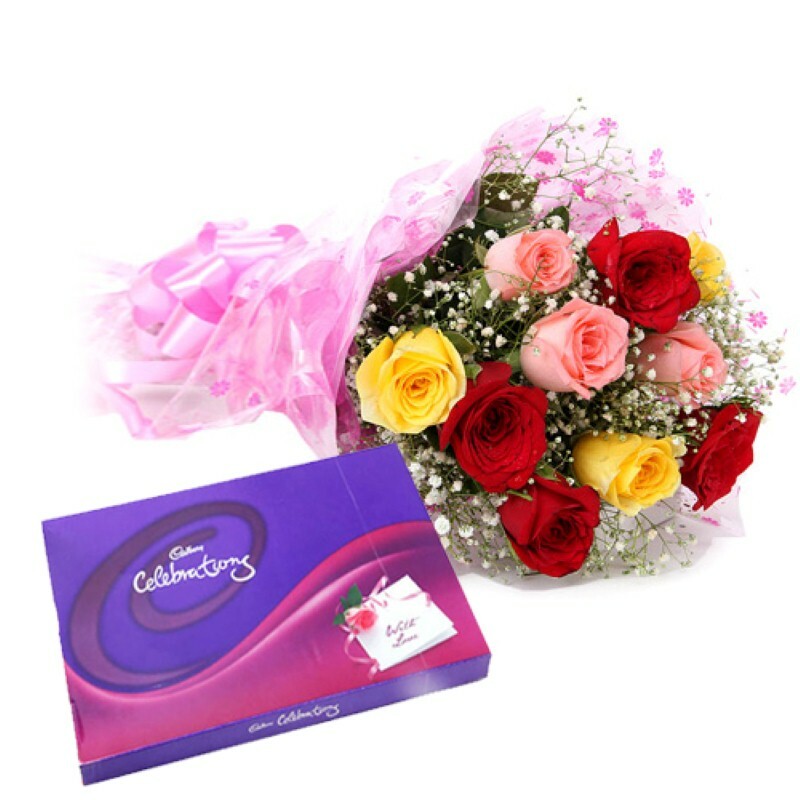 Product Consists : Bunch of 10 Mix Color Roses along with Cadbury Celebration Chocolate Pack (Weight : 125 Gms). Everyone will love Exotic Orchids shows which shows that how much you are special to sender. This hamper will mesmerize your special person in India with its sheer elegance. This bouquet comprises of ten beautiful roses that have been wrapped in cellophane paper. Each stem of rose has bloomed fully and appears beautiful with the green fillers. This bunch is also tied with a charming matching ribbon bow. 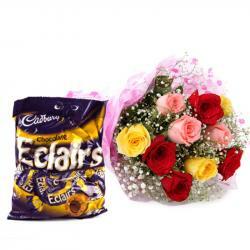 For added more romance with sweet chocolates box of Cadbury celebration. 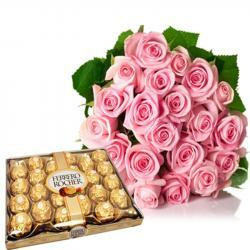 Send this gift for your love ones to make your dear ones feel so special. So, go ahead and by this gift hamper now. 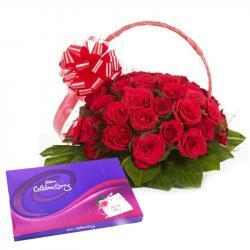 Product Includes: Bunch of 10 Mix Color Roses along with Cadbury Celebration Chocolate Pack (Weight: 125 Gms).